While plodding along into chapter two of my second novel, which is set in the 15th century, my main character’s stomach begins to grumble. What would she eat? And how would she eat it? These were the questions I sought to answer. While I still have much research to do on the types of food they ate in Renaissance Florence, I came across some interesting tidbits about silverware. Spoons were already in use for soups, and knives were used for cutting meat. One would then stab the meat and eat it from the knife or pick it up with their hands. While the concept of the fork has been around for ages, their common use at the dinner table did not emerge until the 18th century. 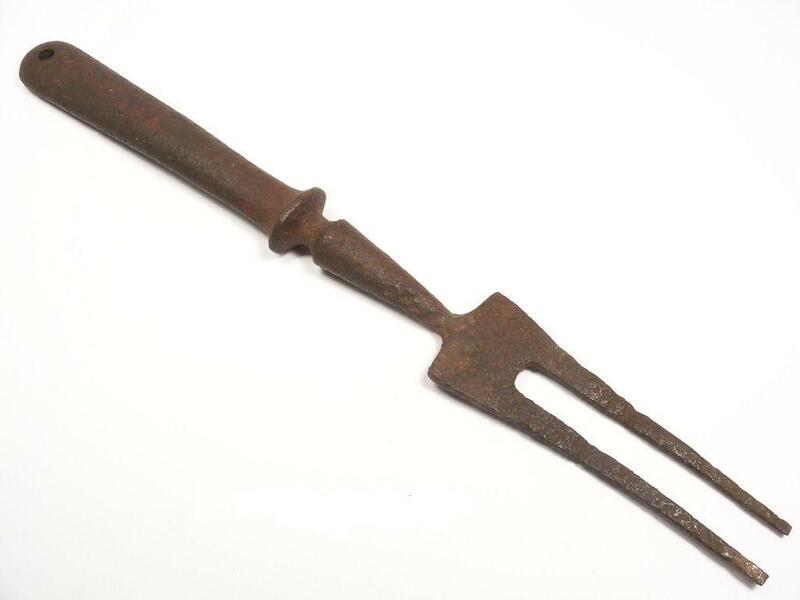 It was during the 15th century that two-pronged forks were starting to emerge in the upper class in Italy. For centuries they had been frowned upon by the Church. This for was two reasons: The first reason being the utensil’s close resemblance to the Devil’s Pitchfork. The word fork literally comes from the Latin furca, meaning, “pitchfork.” They were still associated with sinister behavior. The second reason they were frowned upon was vanity. In the 11th century a Byzantine princess named Teodora Ducas married the Venetian Doge, Domenico Selvo, bringing with her all sort of items of vanity including the dreaded fork. The clergymen were appalled by her substituting the hands that God gave her to eat with this metallic contraption. They were disgusted by her vanity, at her feeling she was too good to touch her food. The poor woman died of the Plague two years after she arrived in Venice and the Venetian Church felt it was just punishment for her vanity! All because she had a fork.